Just what is a warm towel compress and how can it enhance your massage session? Using heat during a massage has many benefits beyond just helping the body to relax. It can also help reduce bruising, soften scar tissue, reduce joint and muscle stiffness and increase blood flow in the areas where it is applied. Using moistened warmed towels is a popular way to achieve this effect. There is a difference though between just applying a warmed towel to the body and using warmed towel compresses. Using the massage technique of applied compression with several layers of heated towels as the medium being worked through. Compression is about applying relaxed weight to an area. This weight, when strategically used, helps to stretch out an area as well resetting the tissue's holding patterns. When combined with moist heat, the effects are greatly increased. The heat helps to decrystallize the fascia, brings blood flow to the tissues and overall helps soften the area for a more comfortable and relaxing massage experience. 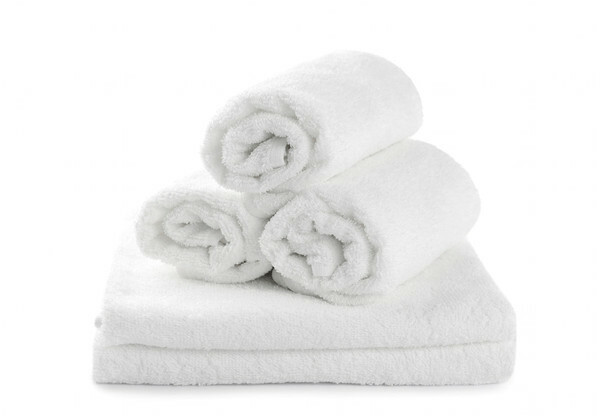 Applying numerous layers of heated towels to an area and then insulating that area with additional layers of heat packs, insulating towels, and blankets. With this type of compress, layers of warmed towels are applied and then wrapped with additional heat packs, towels and blankets to hold the heat in. This method is often referred to as cocooning and acts as a mini sauna to the area being treated. Unlike steam saunas though, where your whole body is immersed in heat, the compresses can be applied to specific areas. While the compress does its work on one area, our therapists continue work on other areas of the body. This allows your body to maintain relative comfort while the localized heat penetrates more deeply and effectively into the tissues. This is especially helpful for those who could use the benefit of added heat but tend to get claustrophobic or overheat too easily. The more layers of heated towels used for this form of compress, the longer the compress will hold the heat. The longer it holds the heat, the more relaxing and comfortable it is to receive. How many layers used depends on what is comfortable for each person, but the intended effect is to use the moist heat and added weight to compress the tissue and break a sweat. The combination of massage and breaking a sweat can have a very profound detoxing effect on the body. It can also give you longer lasting benefits to your body long after you session is over. For some two layers is enough, but it can be as many as 5 or 6 layers. To receive the maximum benefit from this type of therapy, the compress needs to be in place for a minimum for 5 minutes. For most each compress is in place for about 15 to 20 minutes of their session. While this form of compress does its work, your therapist will continue to massage other areas. We break the compresses for the full body work into 5 main areas (or quadrants): 1) back torso region, 2) back leg region, 3) front leg region, 4) front torso region, 5) furthest extremities, i.e. hands, feet, neck. Our face and head massage also make use of specific warmed towels as well. We usually allow 30 minutes for each area. To effectively include compresses into a full body massage, including the belly, a 120 minute (2 hour) session is recommended. Compresses can be spot specific or used on multiple areas of the body. For many of our sessions we frequently include this service for at least one or two areas of the body. Though there are other variations that can be done with the use of compresses, the most frequent is the back torso region and/or the furthest extremities. The leg compresses are often requested as well. A nice introduction to the use of compresses in your session would be try our SINGULARITY - SEA MIST. This session uses a compress on the back torso, where most people hold their tension. A popular addition to the use of compresses is our SWEDISH RELAXATION, where both the back torso and furthest extremities receive compresses. The added heat to the furthest extremities pulls blood from the core of your body to the hands and feet, softening dry calloused feet, improving circulation and deepening the relaxing effects of your session. The MOST useful, and necessary, use of this form of heat application is when doing deep tissue and fascia oriented massage and bodywork (DEEPER STILL). When fascia is not warmed up, its structure can be likened to tiny crystals that when worked deeply can actually cause tiny tears and tissue injury. Though you might get temporary relief, you are actually encouraging your body to respond as if to injury which can create a viscous cycle. The more you warm up the tissues of your body, making sure to cover not just the tightest areas, but also the attachments, and also making sure it is a penetrating heat, especially before doing any deep tissue work, the more responsive your body will be to the work and the effects of each session will last longer. Using this method, the whole body can be treated with such compresses. Yes, it does use a lot more heated towels than many have experienced, and for sessions that use these compresses, we do reheat and reapply them as needed. Some of our massage and spa services, such as our scrubs (CAMBRIAN GLOW & CAMBRIAN SENSATION), Ayurvedic massage (LOVING HANDS & LOVING HANDS IN TANDUM) and our popular pain relieving SALT OF THE SEA make particular use of the this method to enhance the effects of the products being used. Because of the popularity of this extremely relaxing and rejuvenating method, we have also added a treatment to our menu that specializes in the application of compression massage along with the cocooning compresses called CHRYSALISM DREAMS. This can be reserved as a rejuvenating stand alone treatment or added on to a longer massage session.